New solutions using Bluetooth Tags claim to be far cheaper than their Active RFID counterpart. Here’s why it makes sense. Manufacturers, healthcare administrators, and all kinds of other businesses use technology to track assets. More importantly, this has been going on for decades. Those companies with a long history in the business of tracking have likely tried several different kinds of real-time location systems. These days, the most common competing technologies include active RFID, Wi-Fi, UWB, BLE, and Zigbee. Chances are, if you’re looking into asset tracking tags, you aren’t seriously considering all of the above technologies. If you want the features and cost of RFID tags, a ZigBee system probably isn’t going to fit the bill. Or if you want extreme accuracy and have a huge budget, you won’t be using RFID. Let’s see an example. A given solution requires room-level or 3-5 meter accuracy. The business could choose to invest in a highly accurate system using Zigbee. The results would be highly granular which is ideal…for some situations. Here, extreme granularity would only mean more data to manage and sift through as well as far larger costs. That’s why, for these solutions requiring room level or 3-5 meter accuracy, Bluetooth tags and RFID tags are among the most commonly used tools. Wi-Fi tags are also a viable solution. It’s easy to get excited by the price of an affordable tag. Here’s another place we need to differentiate: are you looking for the cheapest, flimsiest tag humanly possible or do you intend to use it in a business setting where reliability and longevity are important? This small question will determine how much you’ll be paying for your tags. It’s worth noting that, for some RTLS systems, gateways/readers will only work with certain tags. This means, a user may not be able to buy a knockoff tag and pair it with a standard reader. You’ll have to check the specifics of your chosen tools. Looking for an end-to-end IoT platform for asset management, safety & security, or condition monitoring? Contact our team and schedule a demo of the Kontakt.io solution. Apart from the basic protocol, whether your tags use Bluetooth, RFID, or something else, there are plenty of differentiating factors to keep in mind when purchasing tags for tracking purposes. For more detail on the difference between Bluetooth and RFID, check out our in-depth study here: Real Time Location System [RTLS] Study: How do RFID and BLE differ? There are RFID tags that are far cheaper than all of the numbers listed above; however, this is because they are an entirely different technology. These ultra-cheap solutions are generally passive technologies, acting only when the tag is brought in very very close proximity to the reader. This means, for example, an employee with a passive RFID tag for access and entry will have to scan their ID. An employee using active RFID would be able to simply walk in the rough vicinity of a reader, and they would be automatically registered. Of course, it’s difficult to say exactly how much a tag will cost you as there are several different kinds, and–more importantly–different features will mean different returns. However, one thing remains true for all: readers are also a major cost consideration. Once you have your assets tagged, you’ll need a device to read them. Wi-Fi and RFID readers tell a powerful story: asset tracking is a solution for massive companies with massive budgets. Here’s the big difference: active RFID readers will cost you anywhere from $1,000 to $5,000. This a standard price tag for such readers. This is because of the inherent nature of the two technologies. Bluetooth has a very long range, yet it’s also low energy (hence, Bluetooth Low Energy). Bluetooth SIG specifically planned it to be efficient, and their future updates will likely add to its strengths and capabilities. Wi-Fi and RFID, on the other hand, weren’t made with the explicit plan to be low energy. The result is the need for more hardware and higher price tags to achieve the same result. RFID and BLE tags: what’s the difference? BLE tag readers (like Gateway hardware) cost < $100. A BLE tag-based RTLS solution can cost you 1/5th the price of the Wi-Fi or RFID equivalent. Despite this being a basic fact, every system is different. 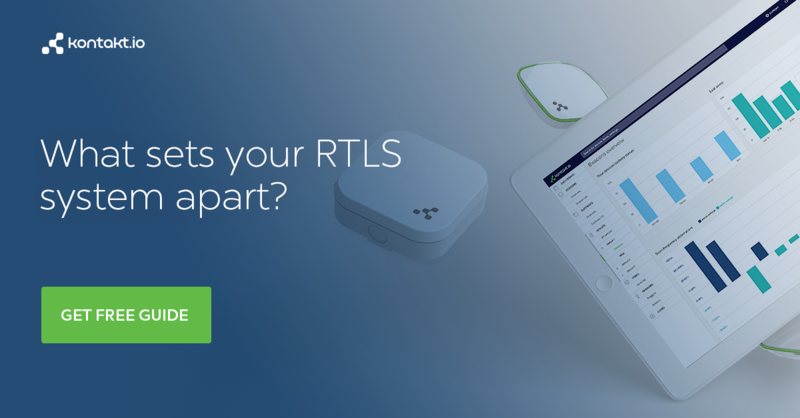 The exact cost of your RTLS will depend on what points you value. Though costs will fluctuate as technologies develop, these numbers reflect the fundamentals of each. Of course, don’t forget, Bluetooth 5 has been released and Bluetooth tags will soon be more powerful than ever before. What’s more, BLE is supported by a growing number of WiFi access point vendors. 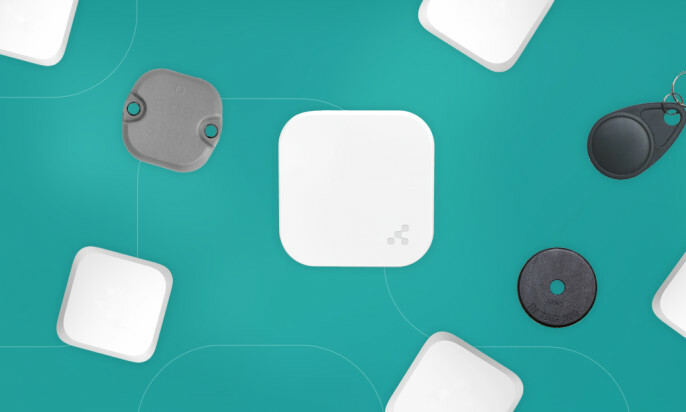 This means that you can run a BLE-based RTLS on a WiFi network, without the need to install additional gateways, saving on hardware, installation, and maintenance costs. Tracking tags come in all kinds of shapes and sizes. For general purposes, it might not matter whether your BLE tag is long, short, or anything else. However, for some, it will matter greatly. For example, some packages will be difficult to affix a tag to. Here, you may be able to use a Card Beacon or other thin or specially-designed tag. Similarly, the external shell on Bluetooth tags can differ. While most are durable enough for the daily grind, they generally won’t be ready for very cold weather or physical stress. That’s why tags like Tough Beacon were made. Then, there are sensors. Accelerometers, light, temperature, humidity, and other types of sensors are able to add more capabilities to your existing infrastructure. This can also add to the initial cost of your infrastructure. However, by leveraging these sensors to increase energy saving initiatives, they may also help your infrastructure last months or years longer. Don’t forget about Bluetooth 5, which will be making future tags infinitely more competitive. This means 800% more rich, contextual data and metadata from sources like sensors! Lost your phone? Your keys? A new industry has popped up promising to track your valuables so you never lose them. Their primary use is for items in short- or medium-range from the owner. They work like this: the user will generally attach their personal Bluetooth tag to their asset—a computer, keyring, or even cat. These tags send out their ID information at regular intervals. The related app is able to register the location of these tags when within a distance of around 30 feet but can also reach up to 100. These end-user trackers are generally the same as any other Bluetooth tag. The real difference is the app and how the company has decided to leverage them. It’s likely that, as these solutions become more popular, you’ll be seeing more options and greater capabilities. Also check out an extensive overview of RTLS and their applications in manufacturing, healthcare, logistics, and workplaces. The real cost of a tracking system implies much more than just tags. These hardware tags are merely the final node, the piece a user may see on a daily basis. Beneath these tags is a complete infrastructure constantly crunching numbers. Seldom will the hardware be the only tool businesses need to get started. Managers will likely have to find an existing IoT application or platform or partner with a solution provider to create the right solution for their business. So to sum up, all you need to do is find a sensor vendor, then find a gateway vendor, then find an IoT platform provider, then find an integrator to put all these elements together and plug them into your existing infrastructure. If this sounds complex, it’s because it is complex. Don’t worry, there’s a better way. Contact our team, schedule a demo of our end-to-end IoT platform Simon AI, and see what it can do without all this usual complexity. Hi, My name is Jack and I am doing a project on bluetooth tracking. I was wondering if you happen to know the cost of creating the technology for a bluetooth tag for companies like tile or trackr. Thank you so much! No wonders the companies are switching to use BeeBeacons instead of RFID’s. Comparing RFID and Beacons in table format would be much easier. Asset Tracking Upgrade: Bluetooth Low Energy Can Help! Real Time Location System [RTLS] Study: How do RFID and BLE differ? Can a Beacon Gateway Create Better Heatmapper Technology?